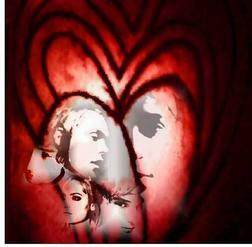 Your resource for all things shoegaze and dream pop: Album Review & Free Download: Love Culture. Aquamarine EP. Album Review & Free Download: Love Culture. Aquamarine EP. Release date: Originally released January 28, 2010 (a double EP package, including Aquamarine and the new Drag EP to be released January 14, 2011). 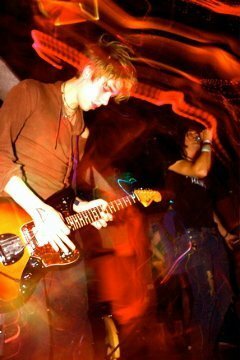 Love Culture is a five piece band based in Columbus, Ohio who's sound hovers somewhere between the distorted bliss of the Jesus and Mary Chain and My Bloody Valentine, the nostalgia drenched 90's pop in the vein of Suede, plus their own unique sound thrown into the mix. 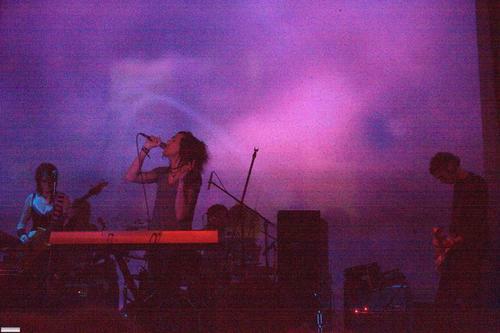 The gorgeous Aquamarine EP is the band's first proper release, though the band also has a collection of older demos available on their LastFm page, and the upcoming Drag EP is slated for release on January 14, 2011 (to be released as a double EP set including a re-release of Aquamarine). 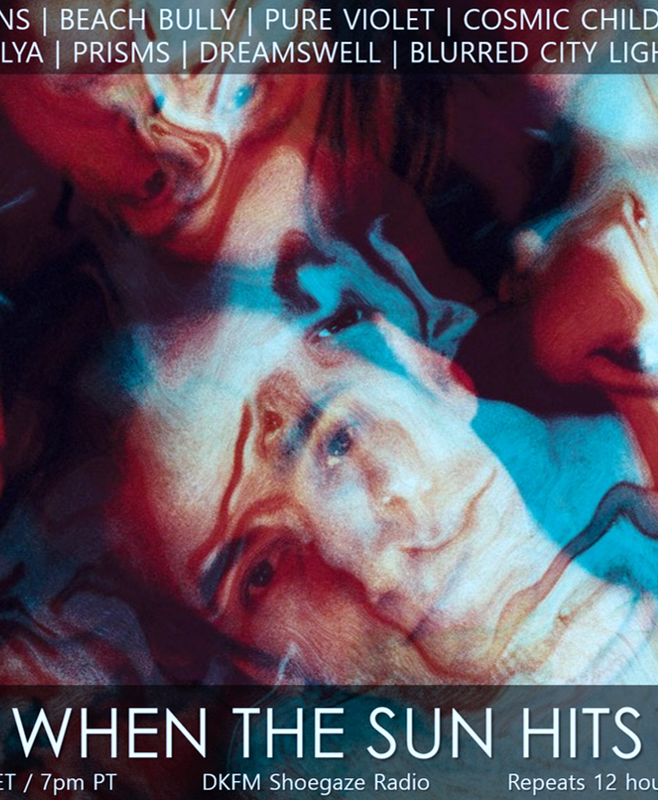 When The Sun Hits also just interviewed Tristan Swan of Love Culture, which you can read here, so you can familiarize yourself further with this excellent band. It's a rare thing to come across a random artist that you know nothing about, have a listen on a whim, and be blown away. This happened for me with Love Culture, and to say that I was pleased with what I heard is an understatement. I have great expectations for this relatively new band, and hopefully after reading this review you'll download the Aquamarine EP (for free! I'll link you to the download at the end of the review) and help When The Sun Hits spread the word about this band. They are destined for big things. 2011 will be Love Culture's year, mark my words. The Aquamarine EP is a seven track stunner that, as a first proper release, is incredibly accomplished. The EP kicks off with the track "Future Halos", which not only boasts a track title that I adore, but immediately sets the stage for Love Culture's unique sound - there is almost a post punk feel to it, but with an energetic dream pop edge. The melody is enchanting, but in such a way that you can also bob your head and tap your foot at the same time. It almost reminds me of some of the higher energy tracks from Pale Saints or Secret Shine...there are interludes of otherworldly dreamscapes that segue into post punk, psychedelia-tinged moments of rocking out. The guitar work on this track is truly inspired; classic in form, but still uniquely Love Culture. The vocals are immediately gripping, and the refrain of: "Do you feel lucky today/Do you feel lucky today" gets stuck on a loop in my head, and happily so. Track two, "Karolyne", is my favorite track on the EP (I debuted it on my shoegaze radio show last Sunday [you can download the entire radio show here] and it sounded incredible on the air). Another pyschedelia-tinged gazer anthem, it starts off with rollicking guitar work, then quiets down a bit, but then builds back up to a chorus that demands that you stop what you're doing and pay attention. If you aren't throwing your body around to the chorus of: we're fading in/ fading out/and I can't forget/you said wait for me to implode - then you aren't listening closely. This track is a perfect example of classic shoegaze being updated for the 21st century. The classic elements are there, so there is the nostalgia aspect, but coupled with Love Culture's unique style permeating the whole thing, it adds up to a stellar example of contemporary shoegaze/dream pop. "Cannon", track 3, slows things down a bit, and brings the dream pop element more to the forefront. 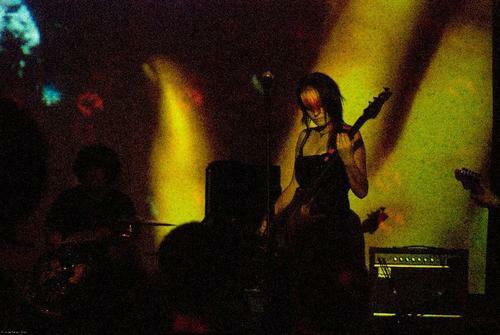 A gorgeous slow burner with lovely vocals, the song evolves into a wall of sound shoegaze onslaught that connects the dreamy bits perfectly with the raucous psychedelic chorus. Love Culture tends to use this formula a lot - dreamy slow bits that evolve into straight up jams, then slows it down into dream land. I love it. It's hard to seamlessly combine the styles of shoegaze, dream pop and psychedelia into one track, but Love Culture has perfected it, and it is more than impressive. Since I am a fan of all of these genres (and consider them siblings), I love hearing them mesh so easily on Aquamarine. Up next is "Ocean Ocean", opening with a dreamy lilting melody and lovely vocals that bring to mind Slowdive, but with more attitude and a more upfront rhythm. This is shoegaze with less emphasis on the the ethereal soundscapes and more focus on a defined melody. It has an almost lullaby-like quality to it, but a lullaby for those who don't want to be lulled to sleep, but instead want to bliss out fully awake. Gorgeous. Track five, "Islands", picks up where "Ocean Ocean" left off, opening with a catchy beat, fetching synth lines, and captivating lyrics that immediately demand your attention. A true dream pop gem, with chorus lyrics that I adore: "We should own the sky/We should own the sky/All our dreams tonight/Fade in sunlight/What were you wishing for/to slip slowly away/We are dreamers still/We are dreamers" - and accompanied by the nostalgia-drenched synths, it's a dream pop jewel. "We were made for this..." - yes, Love Culture, you were. Delightful. 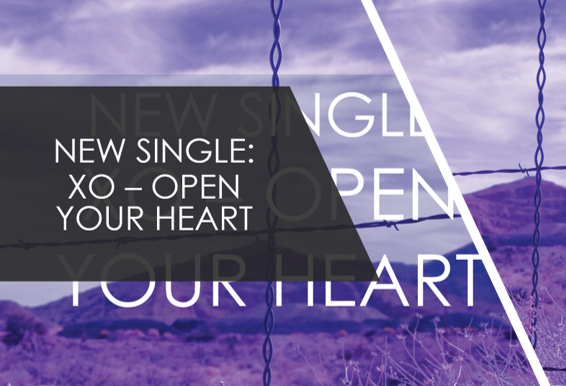 "Still My Heart", the sixth track, is once again another dream pop treasure. Clocking in at over 6 minutes, my only beef with this song is that I wish it was even longer than 6 minutes. This one is another slower track, with crooning vocals and a heavenly melody that could go on forever in my opinion. Once again, bringing to mind Slowdive, but as I mentioned before, the track is more upfront than the ethereal dreamscapes of Slowdive, with more of a pop sensibility. At around the 5 minute mark the track gets a little noiser, but just for a moment, before returning to it's dream pop croon. Truly a beautiful song, rivaling any of your favorite current dream pop bands easily. Be still my heart, Love Culture. The final track, "The Red Room", is a more experimental piece that immediately brings to mind The Stone Roses' track "Full Fathom Five" (which was their hit single, "Waterfall", recorded backwards). A great way to end the EP, with a nod to The Stone Roses (I'm taking a liberty in assuming that), but the track still completely stands on it's own as a piece uniquely Love Culture in style and sound. If this is one of Love Culture's tracks backwards, I don't know which one, but who cares? It stands on it's own as a brave, experimental piece of music that works perfectly, and again displays this band's proficiency for melding genres, concepts, and sounds into their own style. I'm truly impressed. 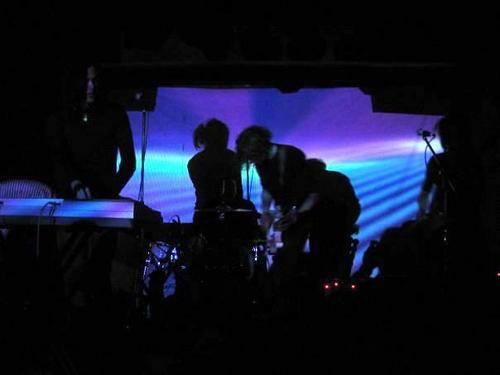 The Aquamarine EP has dazzled me (and believe me, I am not dazzled easily or often). I absolutely can't wait to hear the double EP package, slated for a January 14th, 2011 release. Mark your calendars, gazers. These guys are completely DIY, which is even more impressive, considering the high quality here. Check out the band's Facebook page and start spreading the word about Love Culture. As a band self releasing such outstanding music, they need and deserve our support, and When The Sun Hits is all about giving exposure, and we want your help! Love Culture has all of the ingredients needed to become much beloved, so let's make it happen. These guys can rock as hard as A Place to Bury Strangers, have mastered dream pop as well as any of your well-known favorites in the scene, and are making music that needs to be heard. 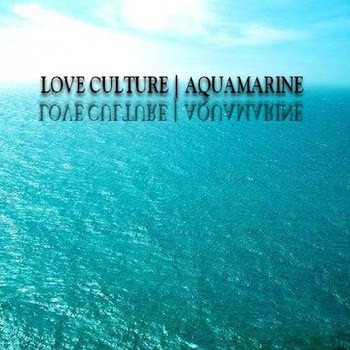 As a further bonus, Love Culture is now offering the Aquamarine EP, in it's entirety, as a free download here. Download it, spend some quality time with your headphones and the EP, and start telling your friends. In the realm of shoegaze and dream pop, we make it our business to support one another and share what's good, so help us do that by doing your part. Click the link below to download the Aquamarine EP in it's entirety, and once you've done that, When The Sun Hits has no doubt you'll also be eagerly awaiting the Drag EP come January 14th. Love Culture. Future Halos (live). Visual work done by VJ of Blue Moon Recording. 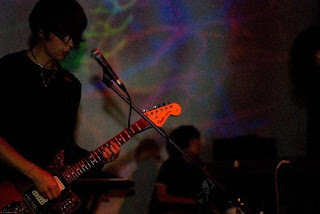 Your resource for all things shoegaze, dream, psychedelia and noise pop. hey also! yeah, ocarina is a gorgeous song, and the first love culture track i'd ever heard. i immediately had to hear more! it was one of the rare instances when a band sent me an EP to our email out of the blue and just completely knocked my socks off! of course, we get great submissions from bands in our email constantly. i just felt really strongly about this one. after getting tristan's review back and reading it, we had so much in common it was almost weird. i am all about promoting this band until they get every bit of attention they deserve! "Cannon" and "Ocean Ocean" are so gorgeous, but each track has its own merits. I also really like the descriptions of the individual tracks in the actual blog above, and agree with them wholeheartedly.